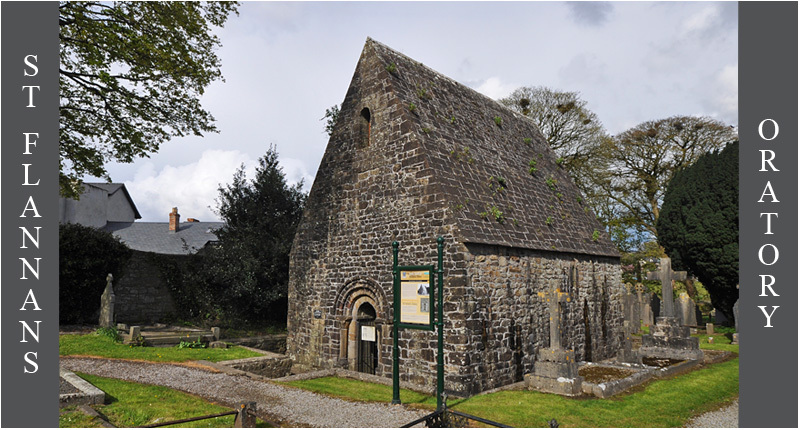 Standing in the graveyard to the north of Killaloe Cathedral is St Flannan's late 11th century oratory. It may have been built to house the remains of the saint. Originally there was a small chancel which was accessed through a plain arch from the nave. The oratory has a barrel-vaulted ceiling, above this is another storey. 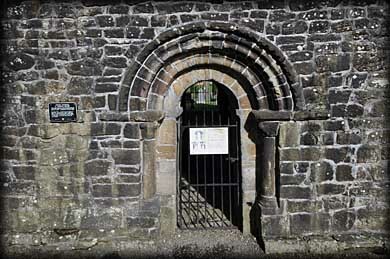 The west romanesque three order doorway may have replaced a more simple entrance. One of the capitals was decorated with animals and the other has a folliate design but these are very weathered. The most impressive feature is the high pitched stone roof. It is a stunning example, similar to the roof at St Doulagh's in Dublin. 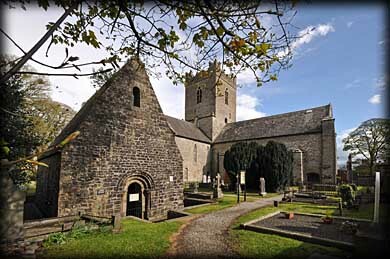 Situated: Very Easy Located in the centre of Killaloe in the grounds on the north side of Killaloe Cathedral. Discovery Map 57: R 7039 7290. Last visit April 2012.